RCVcalc is a sizing software that adapts to the process requirements of the plant and guides the user through selecting the right control valve for any new project. 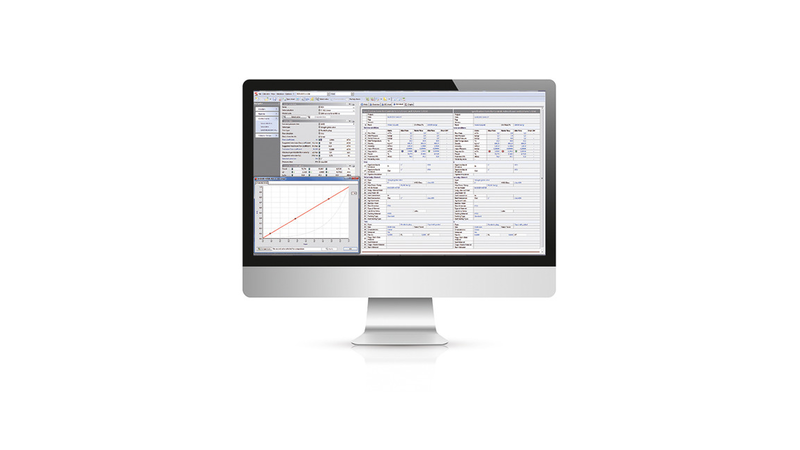 With more than 2000 different media - ranging from gas, liquid, bi-phase or steam - RCVcalc provides accurate, versatile information, automatic phase identification of standard media and offers the possibility to create customized media to better reflect the system parameters of the plant. The software enables the user to visualize the operation set points and to review various trims and characteries that are filtered for the application. It provides real-time scenarios to review trims and control points while considering the rangeability of each innervalve. For low flow calculations, RCVcalc implemented enhanced formulas to cover transitional and laminar flow situations. It also allows the user to enter a vast range of units. The sizing software identifies the actuator shut off forces, including the friction at the packing and shut off class. Used in combination with the RefProp package from NIST, RCVcalc will add the information into the database, thus allowing to leverage thermodynamic equations of various fluid states providing higher accuracy for high pressure and/or low temperature applications. The new sizing software finally provides real-time system alerts (cavitation and operational alarms) to create scenarios with operating points to better define system limitations and better valve selections.